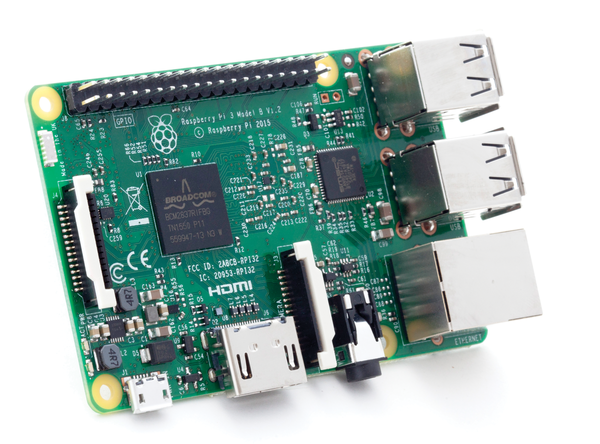 The Raspberry Pi 3 arrives; a new Debian-based Linux operating system for Raspberry Pi; a new release of the Google-sponsored Chromium OS for Raspberry Pi 2 is available for download; Pi in Space; and a bad trojan threatens Android devices. The Raspberry Pi Foundation chose the mythic occasion of another leap day to announce the arrival of the Raspberry Pi 3 (RPi3). The announcement came exactly four years after the launch of the first Raspberry Pi on February 29, 2012. The latest Raspberry Pi represents another significant step in the evolution of the Pi to a competitive computer system for everyday tasks. The RPi3 comes with a 64-bit quad-core ARMv8 CPU clocked at 1.2GHz. According to the announcement by Raspberry Pi Foundation leader Ebon Upton, the improvements in clock speed and architecture will provide "… a 50-60% increase in performance in 32-bit mode versus the Raspberry Pi 2, or roughly a factor of ten increase over the original Raspberry Pi." Perhaps even more interesting than the significant performance improvement is the new built-in support for Bluetooth and 802.11n wireless networking. The new wireless support will provide easier connectivity without the wires and without the need for using up a USB port. The change should also put to rest some of the configuration issues that have arisen around support for certain wireless USB dongles. The new 64-bit architecture might someday lead to additional performance improvements for the Raspberry Pi 3, once the software catch up with the hardware. According to Upton, "At launch, we are using the same 32-bit Raspbian userland that we use on other Raspberry Pis; over the next few months, we will investigate whether there is value in moving to 64-bit mode." The Raspbian project has released a new update of the Raspbian Debian-based Linux operating system for Raspberry Pi. The new release, which is known by its release date: 2016-02-06-raspbian-jessie, is another update based on the Debian 8 "jessie" release series. According to developer Simon Long's blog post at the http://raspberrypi.org website, the latest Raspbian comes with updates to the Sonic Pi sound tool and the WiringPi GPIO access library. The new release also includes menu updates, bug fixes, and Mathematica version 10.3. One of the more interesting developments is the appearance of a new OpenGL driver. OpenGL is a hardware acceleration API used with many standard desktop operating systems, including Windows, Mac OS, and Linux, that offers better performance for rendering 2D and 3D vector graphics. Putting OpenGL on the Pi will eventually lead the way to better game performance and make the Raspberry Pi desktop experience more like working with a standard Linux desktop. The OpenGL driver is disabled by default. To enable it, start the command-line version of raspi-config and choose Advanced Options | GL Driver. OpenGL's extensive memory requirements mean the OpenGL driver only works on the RPi2, so don't try this with an RPi1 or Pi Zero!